View schedule for byob wine and painting classes today! Our wood sign art painting studio resides in a beautiful wooded area near the library and river walk in Traverse City. We are located in a block off 8th Street. Nearby dining and entertainment options galore! So sip and paint, and then go out and sip some more! A short walk or bike ride to downtown Traverse City. Use map to zoom in. See restaurants, area activities when planning a class in our wood art painting studio. Sip and paint with us! Enjoy painting classes, private or public wood art and craft workshops.Call, or stop by during one of our public wood sign painting workshops to check us out. Book a private painting party event in our boutique, inviting class studio. Join us for a make it- take it arts and crafts painting classes once a month! Usually, every 2nd Saturday of the month. Reach out by email viki@hangworkshop.com. Sign up for our newsletter- receive updates, sneak peeks, and special exclusive offers good for sip and wood sign painting classes and art and craft workshops! Keep up with what’s going on by liking our Facebook page where all events are listed on the Hang Workshop Facebook page. 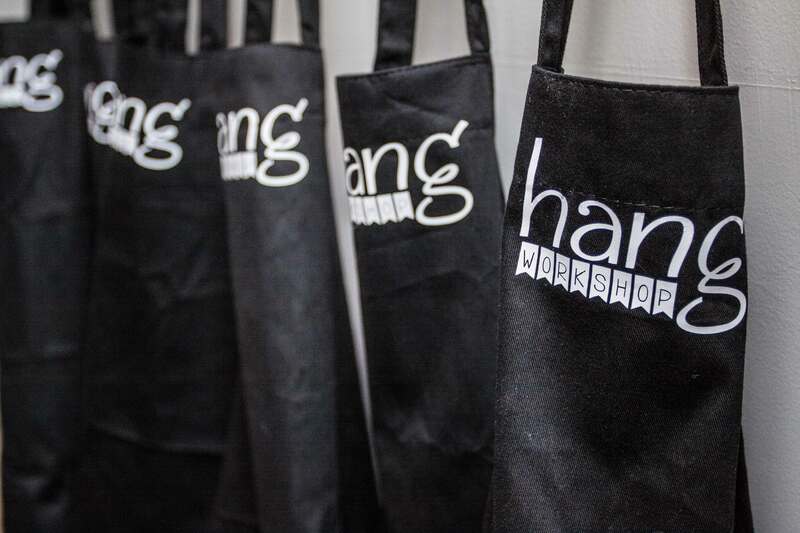 Hang Workshop is on twitter and Instagram. So join us online when you can’t be at a painting class in person..
Trendy Painting Classes or Make it- Take it Workshops- Contact Us!